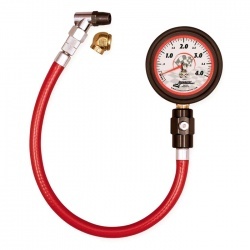 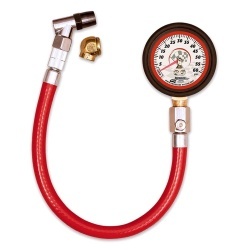 We have a compact range of high quality tyre pressure gauges, with new products arriving on a regular basis. The range will include products from Longacre, Intercomp, Racetech, Accutire, Race X and other brands as they are requested. 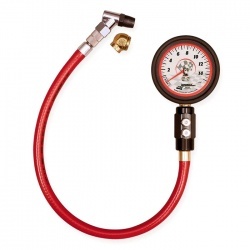 Keeping your race and rally car tyre pressures accurately set up is vital, without the optimised pressures, they are likely to not warm up enough or to the opposing end they'll overheat, both conditions which will ensure you suffer form a lack of grip, combined with premature tyre life and increased cost! 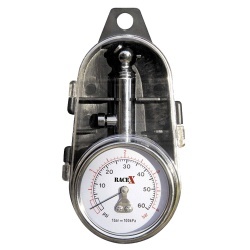 Please give us a shout if you'd like to discuss any of these gauges or perhaps there's a model you want us to add? Call us on 0208 655 7877.